A deep dive into a market driver with alpha generating potential. Follow-up analysis of key market drivers monitored by MRP. MRP Founder Joe McAlinden’s big-picture analyses of timely macro issues. More about him here. Although gold has not had a rally anywhere close to its largest of all time in 2010 – 2011, it has still been quite resilient in the face of tightening monetary policy over the last several years. And now that the Fed is putting rateson hold, the underlying fundamental trends in gold markets, including a long-term slowdown in production and a spikein demand from central banks, is setting the precious metal up for stronger performance through 2019 and beyond. MRP’s active long and short themes, with an archive of follow-up reports. Key data releases relevant to MRP’s Active Thematic Ideas. Pest and weed management has become a hot topic amid growing evidence that exposure to some chemicals in pesticides may cause cancer. 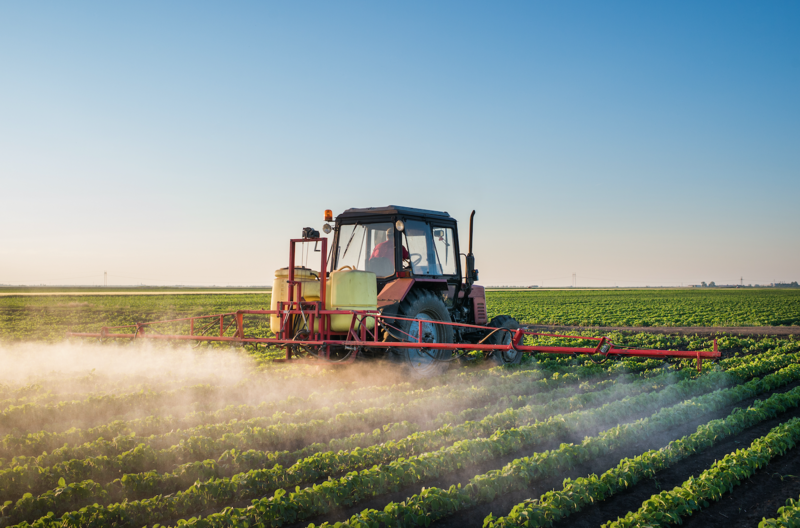 Governments in several big agricultural markets are phasing out some synthetic pesticides, which could boost demand for biopesticides and organic products. Tremendous efforts to improve agricultural yields have led to the extensive use of chemicals to ward off pests and disease from crops over the past several decades. Now, pest and weed management has become a hot topic amid growing evidence that exposure has adverse effects on both health and the environment. In 2015, the International Agency for Research on Cancer classified 3 pesticides frequently used in agriculture—glyphosate, malathion, and diazinon—as carcinogenic to humans. Malathion has been associated with prostate cancer, diazinon with lung cancer, and all 3 pesticides are individually linked to non-Hodgkin lymphoma. Several new developments have put the spotlight back on the issue, prompting some regulators around the world to take action. Canadian government scientists recently found residues of glyphosate in 98% of the 200 honey samples they examined. A similar examination of 28 honey samples by a U.S. Food and Drug Administration (FDA) chemist in 2017 found that all the samples contained traces of glyphosate, with 61% of the samples having enough glyphosate to be measured. That’s because bees pick up traces of pesticides as they move from plant to plant, unintentionally transferring residues from crops or weeds sprayed with pesticides back to their hives. In two separate court cases that concluded six months apart, unanimous juries found that exposure to Roundup, a blockbuster glyphosate-based herbicide manufactured by US seed and pesticide giant Monsanto, had caused non-Hodgkin lymphoma in the plaintiffs. One plaintiff was awarded 80 million in damages, while the other who is dying of cancer was awarded $289 million. There are currently 1,600 cancer cases related to glyphosate waiting to be heard by the Northern California District’s federal court, with more to come. Glyphosate is the world’s most widely used herbicide (roughly 826 million kg a year globally). It is the active ingredient in Roundup brands and hundreds of other herbicide products sold around the world for agriculture and other purposes. Monsanto, which became a unit of Bayer AG in June, has spent decades convincing consumers, farmers, politicians and regulators to ignore mounting evidence linking its glyphosate-based herbicides to cancer and other health problems. Pesticides are now so pervasive in the environment that more than 90% of the U.S. population have detectable pesticides in their urine and blood. The primary route of exposure is believed to be through diet, especially intake of conventionally grown or non-organic fruits and vegetables. As the honey experiments mentioned above show, even foods that are not produced by farmers using herbicides can contain traces. Scientists have even recorded weed killer residues in rainfall. Addressing safety concerns, regulators around the world have started to ban some pesticides in their markets, including China, the European Union, Thailand, and the United States. Adoption of biopesticides was already growing at a faster clip than traditional pesticides. Between 2010-11 and 2016-17, usage of biopesticides increased by 23%, while demand for the chemical variety grew only 2%. Unlike synthetic pesticides, which are made from industrial chemicals, biopesticides are derived from plant extracts, fungi, bacteria, protozoans and minerals. They are used for crop protection and are found to be benign for both humans and the environment. 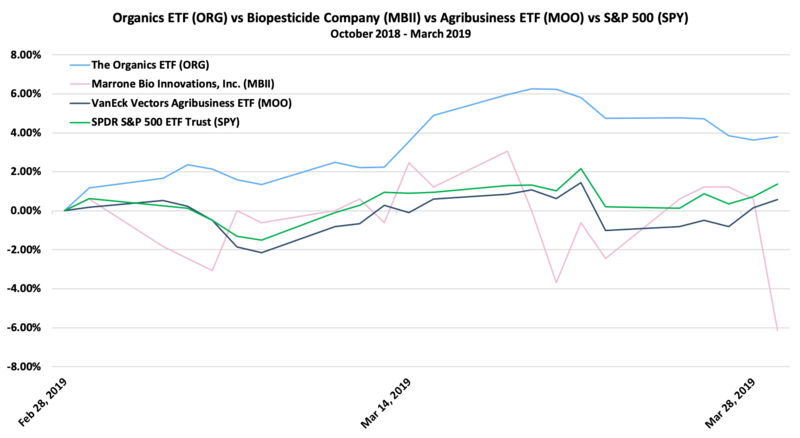 The biopesticide market is projected to more than double from $3 billion in 2018 to $6.4 billion by 2023, expanding at a CAGR of 16%. Increased pest resistance, bans on synthetic pesticides, and advancements in integrated pest management solutions are the primary factors driving that growth. Several multinationals have jumped into biopesticides in recent years. Here are the 10 largest companies operating in the market. 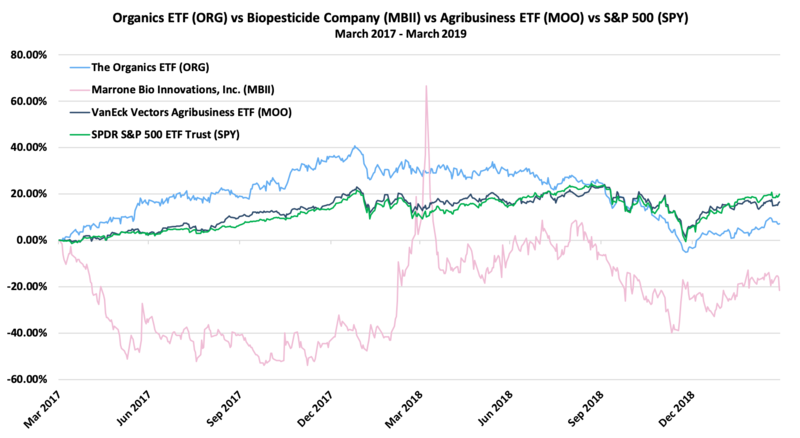 One of the rare publicly-traded pureplays in the space is Marrone Bio Innovation (MBII), a US company that’s been offering bio-based pest management and plant health products such as herbicides; fungicides; insecticides; and algaecides to the global agricultural market since 2006. A more recent entrant, Ecolibrium Biologicals, currently operates out of a lab in Auckland, New Zealand, with a staff of just 25 people. It’s been named one of the top ten biopesticide developers in the world and just signed a multi-million dollar deal with China. Continued backlash against chemical pesticides should provide a boost to manufacturers of biological pesticides and to the organic market in general. 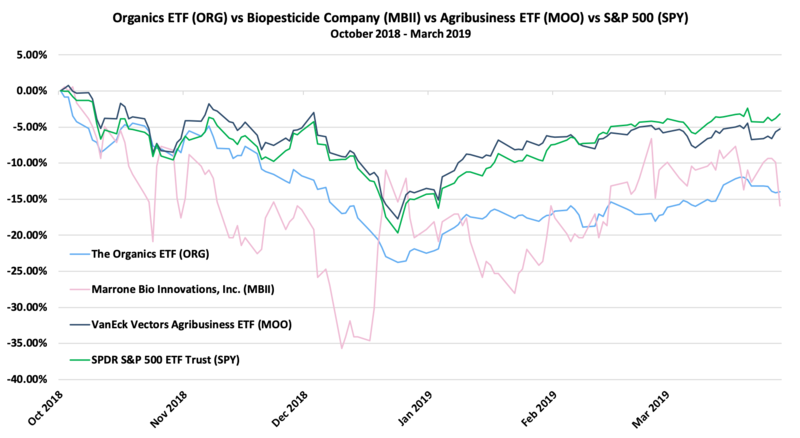 Investors can gain exposure to the latter via the Janus Henderson Organics ETF (ORG) which invests in companies that cater to demand for organic products, including food producers and retailers, both from developed and emerging markets. On Wednesday afternoon, German chemical giant Bayer sustained another costly legal defeat related to Monsanto, the US seed and pesticide giant it subsumed last year. A US District Court jury in San Francisco awarded plaintiff Edward Hardeman $80.3 million—including $75 million in damages—after ruling that Monsanto’s blockbuster glyphosate-based Roundup herbicides had caused his case of non-Hodgkin lymphoma. A new report by public-interest watchdog group U.S. PIRG has revealed that most of the top beers and wines in the United States are contaminated with glyphosate, the main ingredient in Monsanto’s weed killer, Roundup. Roundup is a controversial herbicide that has been linked to cancer and other health problems in studies by the World Health Organization and the State of California, among others. In recent years, thousands of people have blamed Monsanto for being a key contributor to their cancer, leading to calls across the world for the weed-killer to be banned. The advocacy group tested five wines and fifteen beers. The beer brands tested included top-sellers Budweiser, Coors, Miller Lite, Sam Adams, Samuel Smith Organic, and New Belgium. The wine brands tested included Beringer, Barefoot and Sutter Home. Out of the 20 brands tested, glyphosate was found in 19 of them – including in 3 out of 4 organic beers and wines. The group warned that while the level of contamination isn’t necessarily deadly, the discovery raises potential health concerns. New Mexico senator Tom Udall reintroduced a bill today that would ban the widely used pesticide chlorpyrifos—a chemical adapted from World War II–era nerve gases—from being sprayed on fruits and vegetables grown in the United States. Udall’s bill joins a similar measure in the House of Representatives, introduced by New York congresswoman Nydia Velázquez earlier this year. Both address the continued failure by the U.S. Environmental Protection Agency to ban the chemical, despite the agency’s own research showing the harm it can do. “These congressional leaders have had enough of the Trump administration playing politics with children’s health and are taking matters into their own hands,” Sass says. More than a dozen studies have now concluded that even low levels of chlorpyrifos can lead to developmental delays, ADHD, and drops in IQ. Alongside children, farmworkers and those living in agricultural communities also face higher exposure and, therefore, higher risks. Select a theme to see when and why we added it. Also included is a link to all recent Market Insight reports we’ve written about that theme, allowing you to track its progress. This week the US will publish the March’s jobs report, alongside ISM PMIs, ADP employment change, retail sales, durable goods orders and construction spending. Elsewhere, the RBA and the RBI will decide on monetary policy, while the ECB will release its meeting minutes. Important data include: UK Markit PMIs; Eurozone inflation, unemployment and retail sales; Germany factory orders and industrial output; Japan business morale; China Caixin PMIs; and Australia trade balance, NAB business confidence and retail sales. US personal income rose 0.2 percent month-over-month in February 2019, rebounding from a 0.1 percent fall in the previous month but below market expectations of a 0.3 percent gain. Personal spending in the United States edged up 0.1 percent from a month earlier in January, after falling 0.6 percent in December, the most in a decade. The latest reading came in below market expectations of a 0.3 percent gain. The personal consumption expenditure (PCE) price index in the United States edged down 0.1 percent month-over-month in January of 2019, reversing from a 0.1 percent rise in December. Excluding food and energy, PCE prices were up 0.1 percent, below 0.2 percent in December. Year-on-year, the PCE price index advanced 1.4 percent, below an upwardly revised 1.8 percent in December and the core index rose 1.8 percent, also lower than an upwardly revised 2 percent in December. The University of Michigan’s consumer sentiment for the US was revised higher to 98.4 in March 2019 from a preliminary 97.8, as the current economic conditions sub-index came in stronger than initially thought. The latest reading was slightly above the average of 97.2 recorded in the past 26 months. Sales of new single-family houses in the United States rose 4.9 percent from the previous month to a seasonally adjusted annual rate of 667 thousand in February of 2019, following an upwardly revised 636 thousand in January and beating market expectations of 620 thousand. It is the highest reading since March of 2018. The MNI Chicago Business Barometer for the US fell to 58.7 in March of 2019 from 64.7 in February, below market expectations of 61. Considering Q1, the MNI Chicago PMI averaged 60, down 3.5 percent from Q4 2018 and 3.3 percent from Q1 2018. 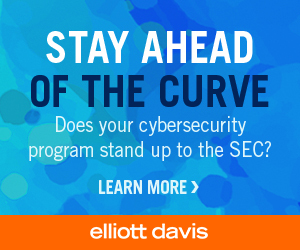 The inverted yield curve has set off alarm bells that a recession may loom around the corner. Historically, that’s been a good bet, and recessions almost always unleash bear markets for the Dow Jones, S&P 500 and Nasdaq. But this yield-curve inversion, which may be short-lived, looks different. While it raises some concern about the long-term economic outlook, the recent inverted yield curve actually is welcome in the near term. Basic economic theory holds that investors will demand extra compensation to cover the risk of longer-term bonds. That’s known as the term premium. At the moment, that no longer seems true. Some of the reasons are positive, but not all of them. Inflation has been quiet for so long that investors are less concerned about a future upsurge. Meanwhile, global bond yields are negative in places like Germany and Japan. Quantitative easing by global central banks has helped push down yields, sending foreign buyers on a global quest for better returns. That demand has helped bid up U.S. Treasuries and pull down yields. Even at 2.40%, the 10-year Treasury yield looks relatively tasty to far-flung investors. But there are questions about whether this will be a long-term phenomenon. Will aging demographics, unaffordable pensions and an excess of government debt keep interest rates from normalizing long term? Instead of an inflationary dynamic, the worry is that gravity has shifted and deflation will be a persistent risk that central banks like the Fed will have a harder time fighting. A 10 percent increase in the adoption of digital money would result in a $150 billion boost to consumer spending, Citigroup found. Governments, meanwhile, would pocket $100 billion more in incremental taxes with increased payment digitization. The movement away from cash has proven a boon for payments companies. 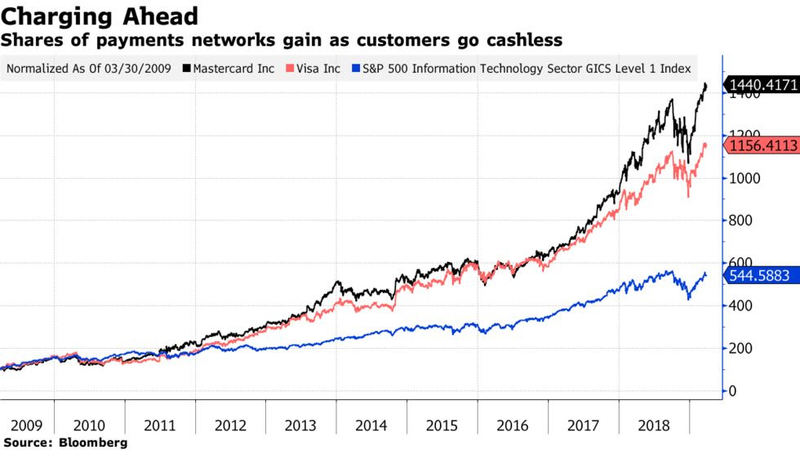 Mastercard Inc. shares have gained 38 percent in the past year, and Visa Inc.is up 32 percent, compared with a 15 percent increase in the S&P 500 Information Technology Index. The payments networks are each up more than 1,000 percent over the past decade, more than double the information tech index and triple the S&P 500. But in the U.S., politicians warn that the trend will marginalize disadvantaged residents — those lacking the means to maintain a bank account or without access to electronic payments, a market that’s been estimated to be worth $95 trillion globally. In February, Philadelphia prohibited discrimination against customers who want to use cash, and lawmakers in San Francisco and New York are considering similar measures. One of Switzerland’s most prestigious hotels, a luxury car dealer and a wine merchant will soon start accepting payments in bitcoin. The trio have signed up to new payments service inapay that allows customers to pay in bitcoin without having to handle cryptocurrencies themselves. The move follows on from Switzerland’s largest online retailer, Digitec Galaxus, announcing earlier this month that it will accept an array of cryptocurrencies as payment for its goods. The Dolder Grand hotel in Zurichexternal link, car dealership Kessel Autoexternal link and House of Winesexternal link have now joined the race to attract a new breed of customer dedicated to the decentralised digital currency movement. Cronos GrowCo, a joint venture between cannabis company Cronos and a group of investors, is building an 850,000-square-foot greenhouse in Ontario that will produce up to 70,000 kilograms (154,323 pounds) of cannabis each year, Cronos CEO Mike Gorenstein told analysts on a company earnings call Tuesday. Gorenstein expects the greenhouse to become operational in 2020. The facility will support growing demand for cannabis after the substance was legalized in Canada last October. The European Parliament has finally done it: approved controversial copyright reforms that could have significant repercussions for the internet in Europe.  The set of copyright rules known as the Directive on Copyright in the Digital Single Market — the EU Copyright Directive — has been the subject of debate for several years. While it is uncontroversial in many regards, two facets of the directive have caused the internet to freak out. Article 11, which has been dubbed the “link tax,” stipulates that websites pay publishers a fee if they display excerpts of copyrighted content — or even link to it. This could obviously have major ramifications for services such as Google News. Then there is Article 13, dubbed the “upload filter,” which would effectively make digital platforms legally liable for any copyright infringements on their platform. Some fear that it would stop people from being able to share content — even GIF-infused memes — on social networks. Since the 1980s, China has taken in hundreds of millions of tonnes of foreign paper, plastic, electronic waste and scrap metal for recycling by an army of backyard workshops. Beijing began restricting deliveries last year, while customs authorities have launched a series of crackdowns on waste smuggling, leading to hundreds of arrests. “China will further tighten restrictions of waste imports and eventually aims to realise zero waste imports by 2020,” Qiu Qiwen, director of the Ministry of Ecology and Environment’s solid waste division, said on the sidelines of a briefing. China imported 22.6 million tonnes of solid waste last year, down 47 percent from a year earlier, the ministry said. In December, Beijing also vowed to ban imports of more varieties of scrap steel, copper and aluminum starting from July, and the veto will be extended to products such as scrap stainless steel and titanium at the end of this year. European Union legislators have voted to ban single-use plastic used by consumers, in an effort to curb ocean pollution. The 10 products affected include plates, balloon sticks, food and beverage containers, cutlery, straws, and stirrers. The legislation, approved Wednesday, will take effect in 2021, CNN reports.